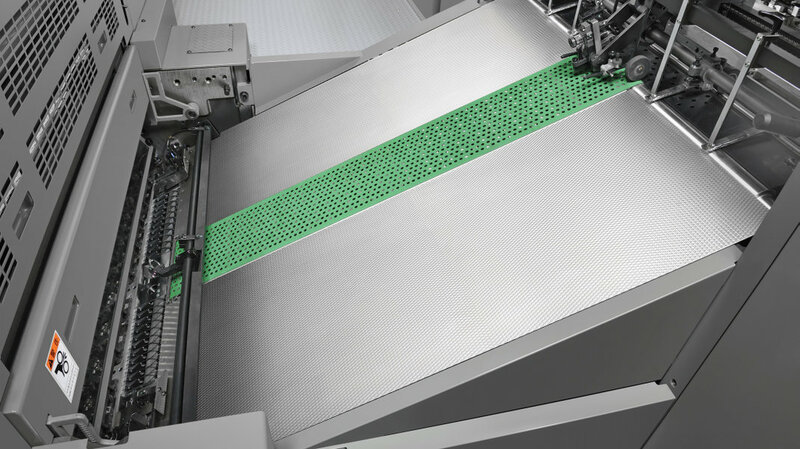 The Lithrone G40 was developed as a green printing press that is environmentally friendly. KHS-AI and H-UV / H-UV L (LED) in concert realize OffsetOnDemand: Performance at the highest level. The Lithrone G40 was developed to be a high performance press that attains both high productivity and high print quality by means of stable operation. Embodying the world's premier press production system, the environmentally responsible Tsukuba Plant consistently exceeds the highest expectations of customers. Now the Tsukuba Plant has transformed the Lithrone S40 - the strategic partner of the printing business since its debut in 2002 - into the Lithrone G40. The 'G' of the Lithrone G40 stands for 'green,' symbolizing Komori's stance on the environment. The Lithrone G40 combines the state-of-the-art technologies from the LSX40 with the award-winning features of the LS40 to deliver a best-in-class machine for today's printing marketplace. Designed with Komori's dedication to precision manufacturing, the G40 ensures high quality print with unsurpassed productivity. The development goals of the Lithrone G40 were high-speed stability, improved print quality, suitability for short-run work, equipment reliability, environmental fitness and improved production efficiency. 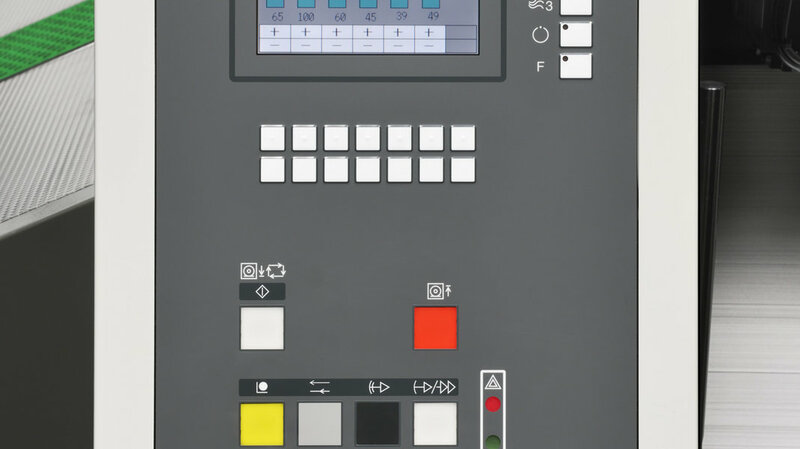 Equipped with the highly evolved KHS-AI integrated control system, the Lithrone G40 meets the needs for short job cycle time, competence with short runs, capability of producing many different printed products, and cost reductions. 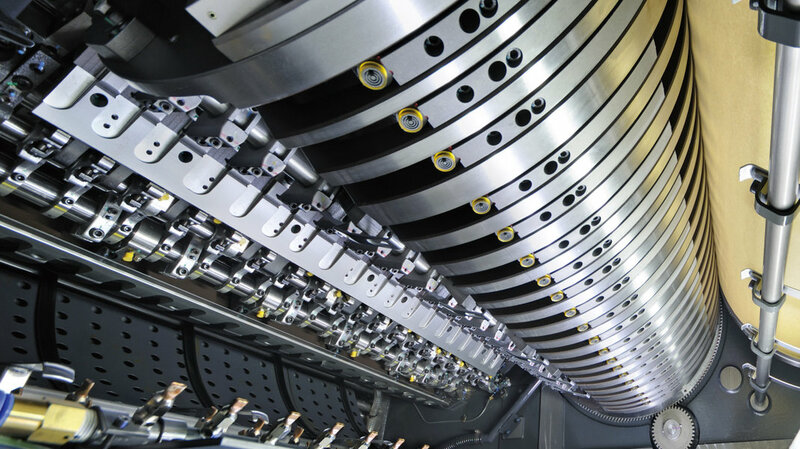 The press offers a maximum printing speed of 16,500 sheets per hour and delivers very stable high-speed operation with a user-specified sheet thickness range. Incorporation of a new feeder and delivery ensures high-speed stability. The Komori H-UV System is an innovative UV curing system that uses a UV lamp developed with Komori know-how and high sensitivity UV ink. With just one lamp mounted in the delivery, this system offers high print quality and reliability as well as excellent economic and eco-friendly performance. As a result of improvements to the chain track and changes to the air control system, sheet behaviour is stabilized by shape optimization. The stabilization of sheet transport results in stable high-speed sheet delivery. Not only is the new Full-APC faster than previous systems, a benderless clamp is used, eliminating the need to bend the plates and making plate discharge and feeding more efficient. Efficient and automatic cleaning is delivered thanks to an automatic control program. The quickest automatic blanket washing system in the industry is further enhanced with the use of pre-soaked cloth for blanket washing and impression cylinder cleaning. Designed with Komori’s dedication to precision manufacturing, the Lithrone G40 ensures high quality print with unsurpassed productivity. Manufactured with the focus on the environment, the Lithrone G40 promotes green printing by reducing consumables and energy usage and lowering the carbon footprint. "This press offers an amazing printing speed of 16,500 sheets per hour, while maintaining the high quality results you've become accustomed to with Komori."